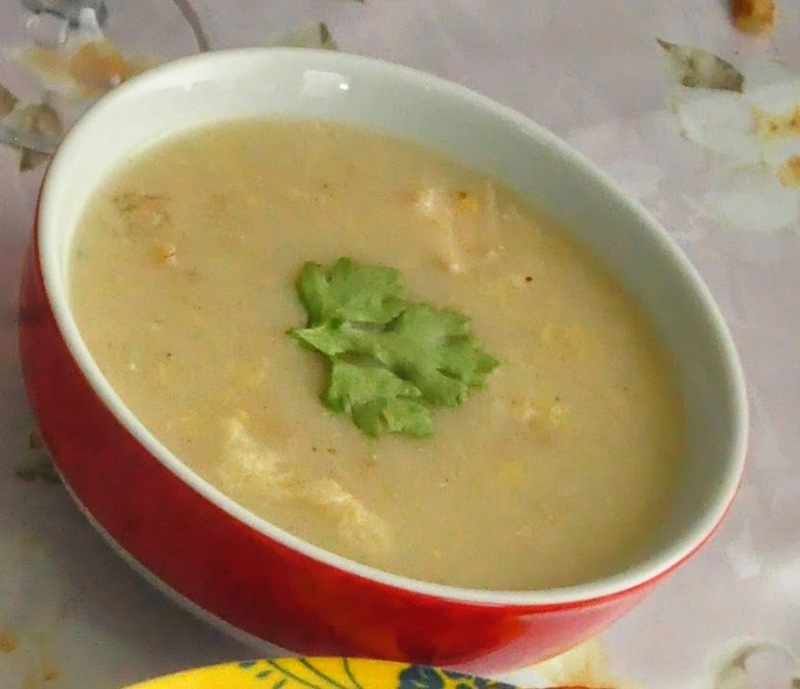 This Chicken Soup with Oats and Yellow Lentil is delicious, soothing and filling. 1. Clean and wash the chicken pieces. Drain all water and keep aside. 2. In a saucepan or cooking vessel, add the chicken pieces, chopped onion, chopped carrots, peppercorns, garlic clove, salt to taste, half of the coriander leaves, 2 cups of water. Bring to a boil and continue to cook till chicken is cooked. 3. If fat accumulates on top while the chicken is cooking, skim it out with a spoon and discard. 4. Remove the chicken pieces and keep them aside. 5. Strain the chicken broth into a cup or bowl. Discard the other cooked ingredients. 6. In a saucepan or cooking vessel, melt butter. 7. Add the chicken pieces and sauté for a few minutes. 8. Add pepper powder, cumin powder and salt. 9. Add yellow lentil and the oats. 10. Add the chicken broth and 1 cup of water and mix well. 11. Bring to a boil and simmer to cook for 20-30 minutes. 12. Adjust consistency by adding more water if required. 13. 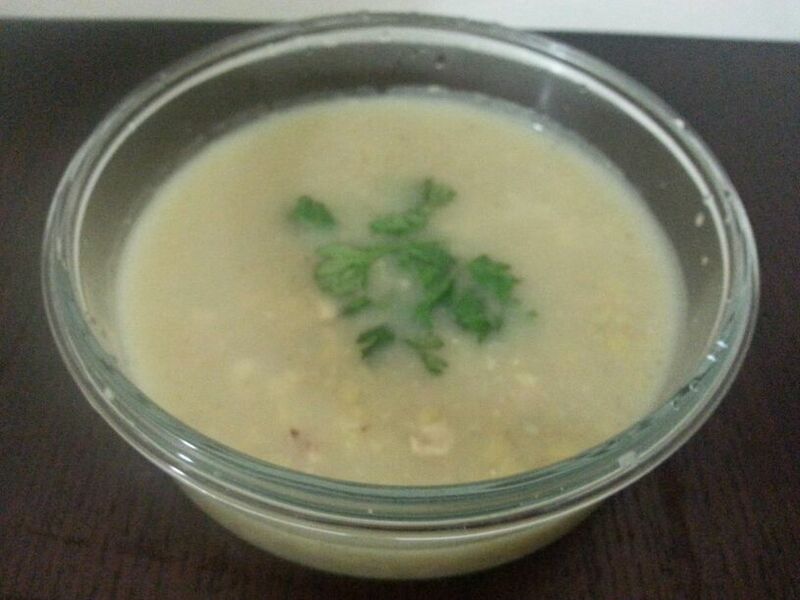 When soup becomes thick turn off the flame and add coriander leaves. 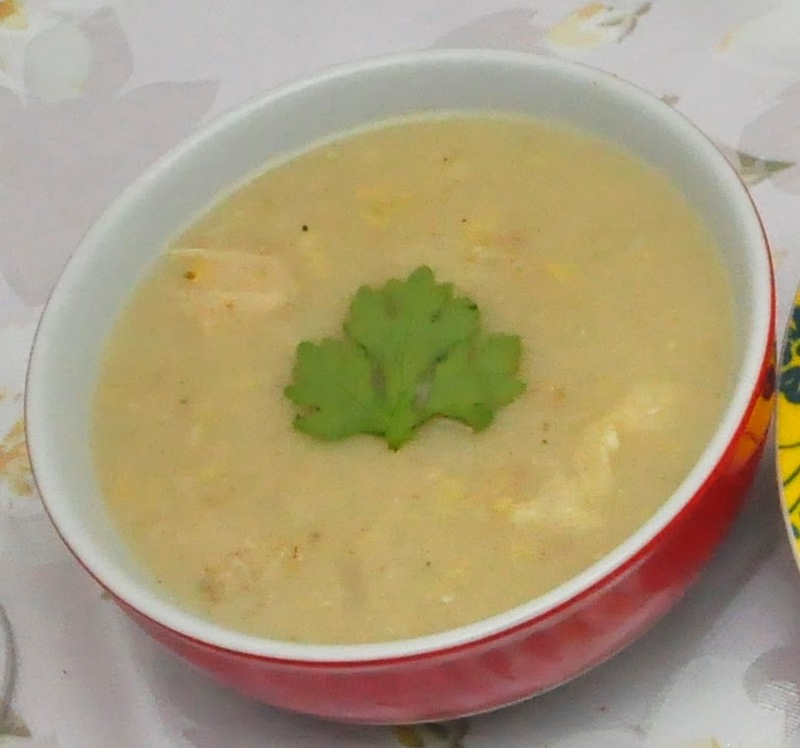 Enjoy Chicken soup with oats and yellow lentil.